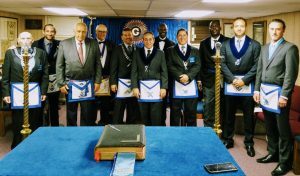 On Tuesday evening September 26, Officers of Paumanok-Port Washington Lodge No.855 were installed for the 2017-2018 Masonic year in a private function. Bro. Adam T. Bernstein was unanimously elected Master during a meeting on September 12 together with Bro. James O. Brew – Sr. Warden, Bro. Robert Panisse – Jr. Warden, Bro. Laurence Tuck – Treasurer, Bro. David E. Pierri – Secretary, and Bro. Brian Staley – Trustee. Due to unforeseen circumstances from the prior administration elections were pushed until after the Summer months when New York Lodges are considered ‘dark’ and no labor is scheduled. Despite the delay and frustration the Officers were elected and without much fanfare they were installed on the following stated communication. The Master elect commented that, although this was the third time he’s been elected to lead the Lodge, he enjoyed partaking of a tiled installation where the public was not invited to attend. Furthermore, although his year had began three months later than usual, he was eager to begin labor and looked forward to bring the Lodge and his Brethren back to the quarries. All interested are invited to contact the Secretary to ask questions or ask for a proper day to visit our Lodge. A newly raised Brother in our midst, Bro. 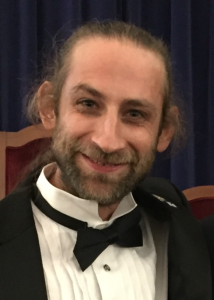 Gregory Brenner, has left a major mark not only in the history of our Lodge but the District, Grand Lodge of New York and the minds of many international visiting Brethren. Below is a quick interview of Bro. 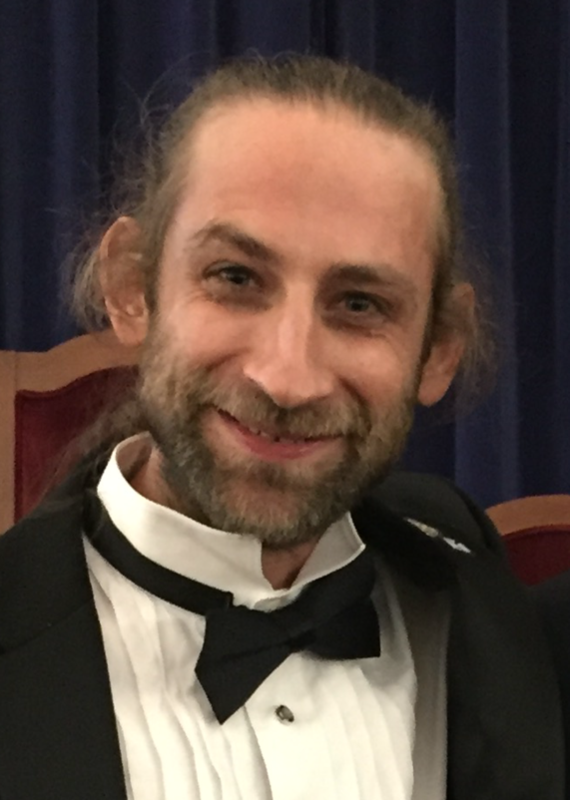 Gregory Brenner who participated in delivering one of our most cherished lectures at the 63rd Annual Gathering of International Lodges named for St. Albans. Q. We heard you made a presentation at a major gathering of Masons recently, what made you decide to participate? A. Yes, the event was the 63rd Annual Gathering of International Lodges named for St. Albans which was held at 25 Lincoln Ave in Rockville Center. My brothers and I performed the lectures of the three degrees. I performed The Middle Chamber Lecture. It’s funny how it came about because I didn’t tell anyone that I was learning it, I was just doing it to prove to myself that I could. I had only memorized shorter rituals up to that point so it was definitely out of my comfort zone. I stuck to it and once I had it internalized, the opportunity to perform it at the St. Albans gathering materialized. I was having a chance conversation with Bro. Charlie Scheu after a Lodge meeting one night about the lecture and I mentioned that I had been working on it, to which he replied “do you want to perform it at an event for Mason’s from all around the world in a few weeks?”. Honesty I was just learning the lecture to maybe be able to perform it at some upcoming degree later on in the year, after I had a few more months to tighten it up. Thanks Bro. Charlie & thanks to all the Brothers of St. Albans for their warm welcome! Q. For those who are looking to join the Fraternity, and those who are on the sidelines, what would you tell them about your experience? A. The rituals are to be enjoyed by both those observing and performing. The Rituals belong to all Brothers. I believe that those who don’t perform rituals and only observe on the sidelines are just as crucial to whole event because the point of the rituals is to unite us through the sacred experience of it. Q. What advise would you give those who are in the middle of memorizing their work, what tips would you give them to ease in memorization? A. I see memorization as forming a path in an untouched field of grass. Your mind is the field and as you start memorizing, the path is very rough with only a few footsteps showing through the thick grass. But as you continue to make the path again and again and again, all of a sudden, it becomes a clear mental walkway fully internalized. Once you get to that point, even if you don’t practice it for a while, it’s still firmly embedded.